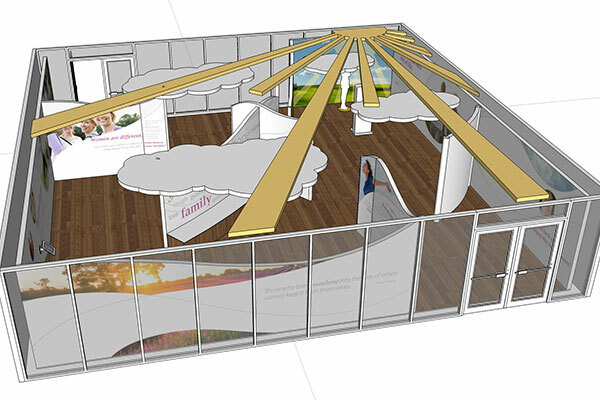 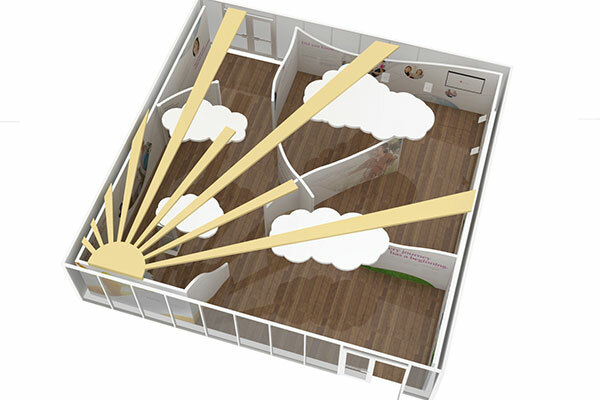 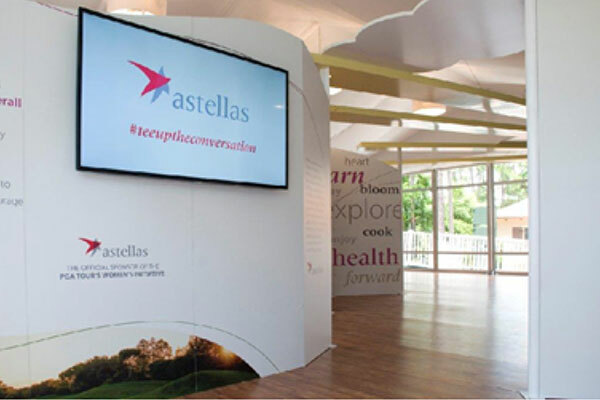 As part of a corporate partnership, Astellas Pharmaceuticals asked Medoff to create an interactive educational pavillion experience within the PGA women's tour. 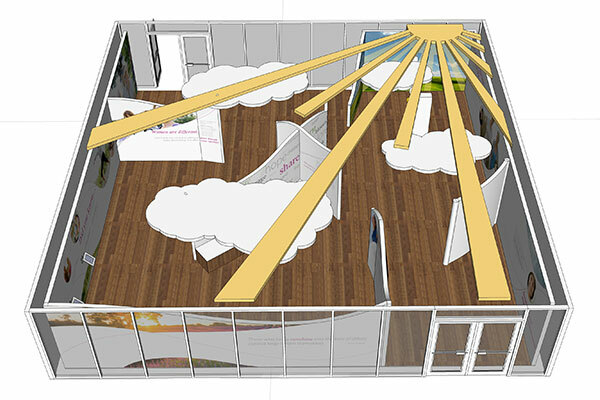 With a 40'x40' working space, the concept was to create an inviting space where guests could create their own experience. 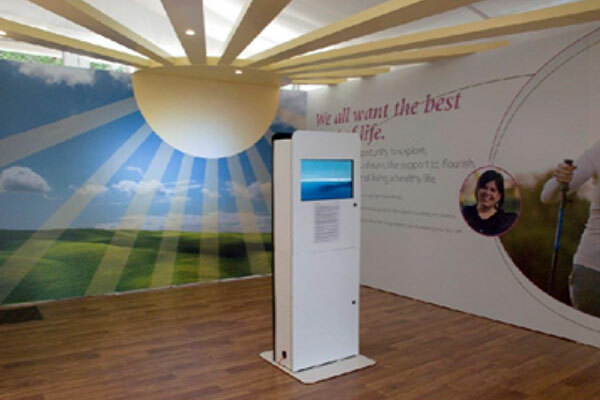 The design featured custom printed graphic walls and interactive iPad stations as well as informational video stations. 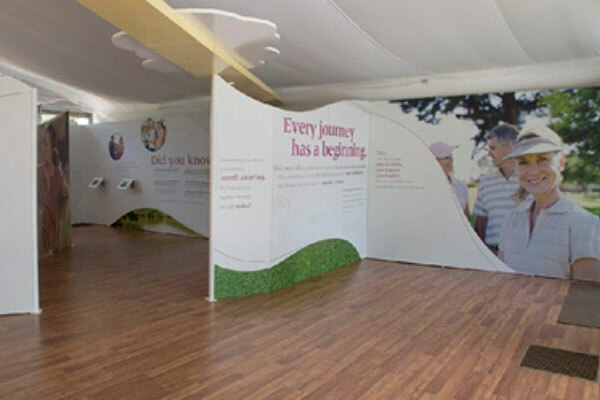 Creating a casual gallery space allowed visitors to experience brand messaging at their own pace and maximized the impact of the sponsors message. 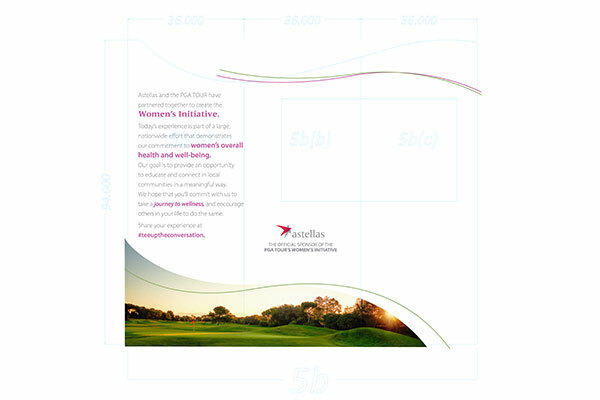 Using our deep experience with FDA guidelines, we brought the pharmaceutical company on board as the official partner of the PGA Tour, creating a mobile set-up in 32 markets. 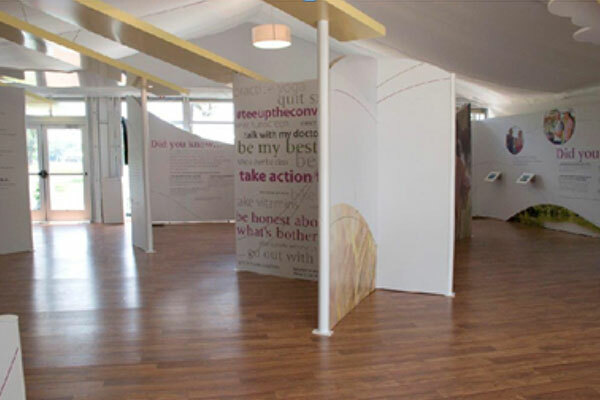 Medoff handled every aspect from fabrication to staffing.